Recently, with the environmental crisis, Green supply chain management (or GSCM), and in particular closed loop supply chain model, has received considerable attention by researchers. Closed loop supply chain model aims at reduction of waste and generating profit for enterprises through integrating forward and reverse logistics. Unfortunately, there is limited research on general models for closed loop supply chains in literature. In this paper, extending and enhancing previous models, a general model is proposed for closed loop supply chains using linear programming. The goal of this study is to minimize the leakage of a closed loop supply chain to avoid waste and reduce SCM costs. A supply chain is a network of facilities and distribution options that has the responsibility of procurement of materials, transformation of these materials into intermediate and finished products, and the distribution of these finished products to customers (Kaihara, 2003). Soroor et al. 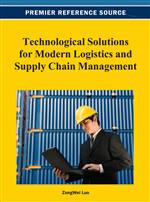 (2009) examined critical failure factors of supply chain logistics and the results show that information sharing plays the most critical role in its success. A forward supply chain is a network of facilities and distribution options that performs the functions of procurement of materials, transformation of these materials into intermediate and finished products, and the distribution of these finished products to customers. A reverse supply chain focuses on the backward flow of materials from customers to suppliers (or alternate disposition) with the goals of optimizing supply chain efficiency in terms of value from returned items and reverse logistics costs. A well-managed reverse logistics programme can provide cost savings in procurement, disposal, inventory carrying and transportation (Kannan et al., 2009). Rogers and Tibben-Lembke (1999) define reverse logistics as “the process of planning, implementing, and controlling the efficient, cost-effective flow of raw materials, in-process inventory, finished goods and related information from the point of consumption to the point of origin for the purpose of recapturing value or proper disposal”. In this process low transaction costs are vital for acquiring products at the end of their life (Morana & Seuring 2007). Reverse distribution can take place through the original forward channel, through a separate reverse channel, or through combinations of both forward and reverse channel. Rubio et al. (2008) have extensively reviewed the research works in this concept.